This popular holiday destination is renown for it's unique beauty, blue skies and warm weather throughout the year! 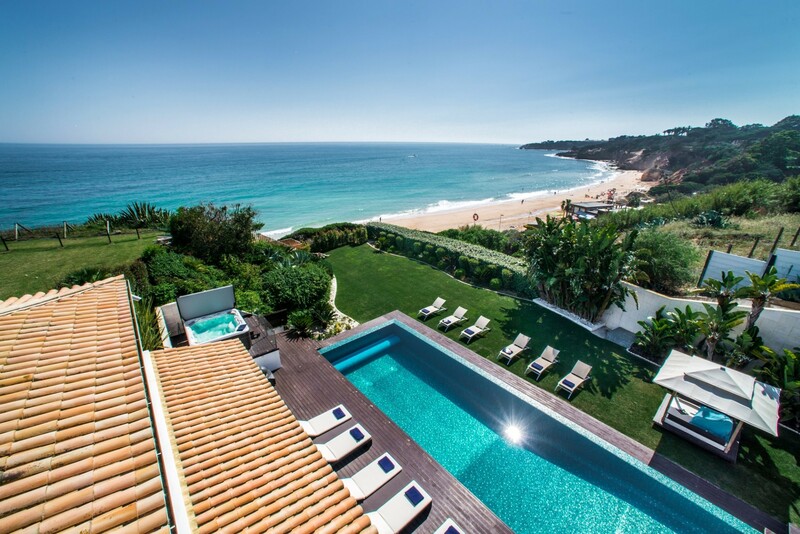 We have a wide variety of unique luxury villas in Portugal and across The Algarve, so there's bound to be the perfect holiday villa for you listed by Unique Luxury Holidays. Take a look at these exquisite villas here! The Algarve enjoys around 3,000 hours of sunshine every year - that's about eight hours every day - so whatever time of year you go, you're virtually sure to enjoy fine weather and long warm days. Cloudless skies are almost guaranteed during high season, between May and October, whilst in peak season, temperatures are around 25 to 30°C. However, you can expect cool Atlantic breezes to keep temperatures comfortable. Autumn is the busy season for golfers since cooler offshore breezes make this an ideal time of year for playing, but you can sunbathe and swim well into October - then in both spring and winter, the temperatures remain around an exceptionally pleasant 15 to 18°C. All that sunshine is concentrated on an area of land approximately 240 kilometres from east to west and 40 kilometres from north to south, so it's relatively easy to explore the whole area within a short time, especially since the roads are so good, and they have excellent bus services throughout the area. The Portuguese are famed for their warmth towards visitors, though the national character is somewhat different from the effusiveness found in many Mediterranean countries. 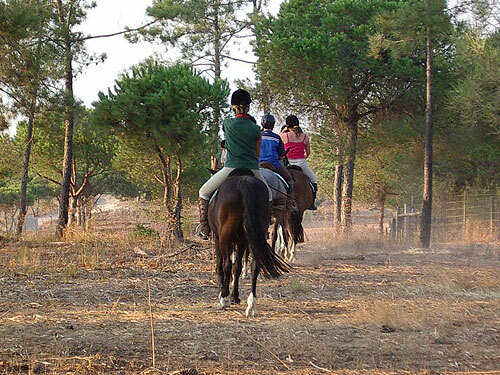 Portuguese people have a quiet sincerity and unfussy friendliness that is very endearing and draws hundreds of thousands of people back to the county year after year, to stay in our luxury villas in Portugal. You can divide the Algarve into three main areas - West, Central and East - each having its own personality and characteristics. Wherever you go the area is dominated by the Atlantic Ocean, which has shaped the entire coastline. 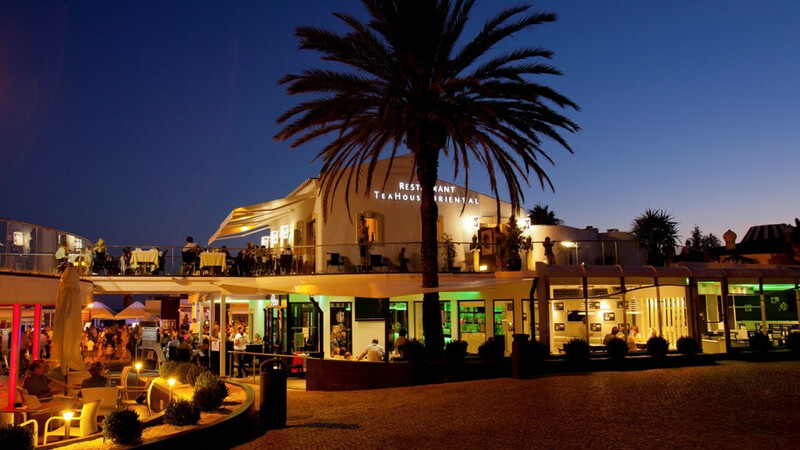 Its presence has shaped the national character, making the Portuguese a seafaring and exploratory nation; its bounty has influenced the cuisine, with fresh seafood being ever-present on most restaurant menus - and its ceaseless movement forever draws visitors to the Algarve's magnificent coastline, which creates the very best memories for most visitors to this beguiling region. Climate - one of the best in the world - 3,300 hours of sunshine per year, more sunny days than almost anywhere else in Europe. Beaches - 85 beaches in the Algarve awarded Blue Flags meaning they fulfil criteria including water and coastal quality, environmental info and education, safety, service and facilities. 500 miles of coastline. Considered best-valued destination by Lonely Planet in 2015. Portugal is ideal for young families - don't be surprised when waiters and waiters try to spoil your kids in restaurants... it's a Portuguese thing! Less than 3 hours flight from the UK - most resorts less than an hour from the airport. 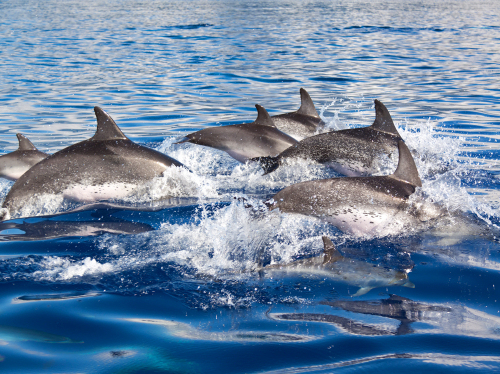 There are daily boat trips from the Marina de Lagos to see dolphins and other Algarve marine life. You'll take a journey past the famous grottos of Ponta de Piedade, see the beautiful scenery of the Algarve coastline - and you can also take a glass-bottomed boat-ride or enjoy a sea-fishing trip. 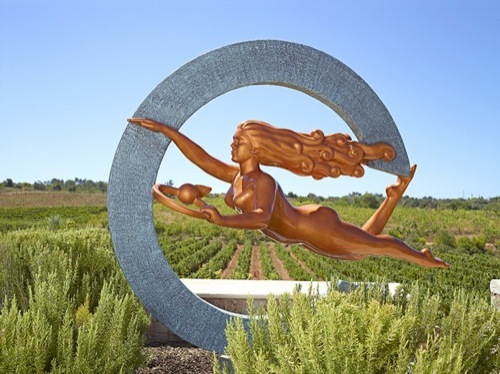 This internationally recognised wine estate is also a centre for arts, complete with a small animal farm. Located near Portimao and open daily, the 50-hectare estate is situated in the hills and offers wine-tastings and guided tours of the winery and gardens. This is one of the biggest waterparks in Europe, with an abundance of exciting water slides, swimming pools, sun loungers and waterfalls. 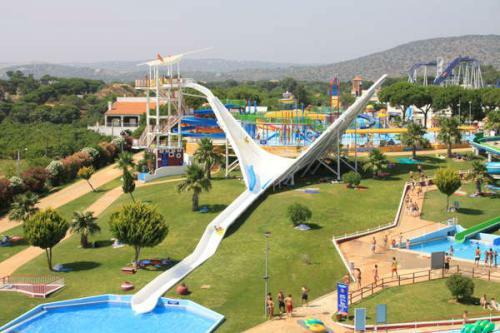 Located near Lagos, it offers an excellent day out for all family, plus there are restaurants and cafes for lunch and refreshments, as well as free car parking. See artists at work in this famous pottery workshop. Housed in a traditional Algarvian farmhouse, it offers beautifully handcrafted tea sets, wall plaques, dishes and platters. You can also the Bacchus Bar for a drink and a bite to eat, and admire some stunning tile murals. This is perfect if you're looking to escape the crowds and explore the water. There's great surf to be found here, often with offshore morning breezes. 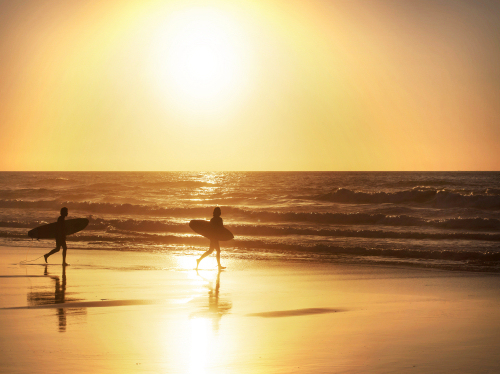 Faro Island can be reached by ferry and has endless white sands, crystal waters and excellent waves (beginners April - Aug, pro surfers Nov-Feb). 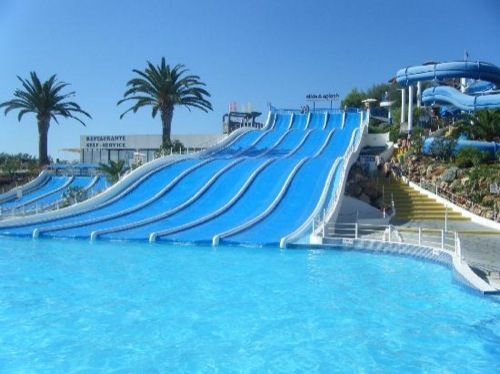 Aquashow has the biggest wave pool in Portugal and is a day resort that's suitable for all the family. 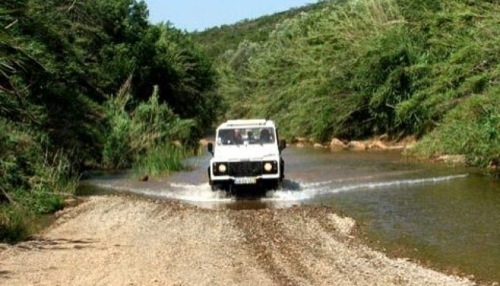 If waves are not your thing, try the classic swimming pool or the Jacuzzi - and for an adrenaline rush, there's the Wild Snake for a 16-metre ride in the pitch black! 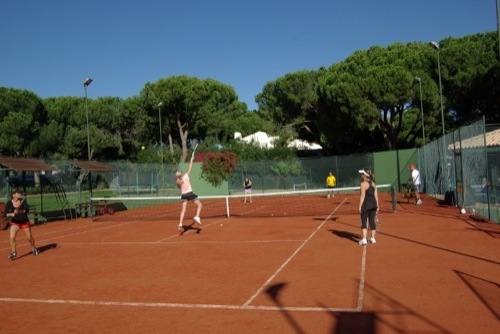 Jim Stewart's Tennis Academy (JSTA) in Quinta do Lago offers instruction to people of all ages and abilities, plus it has a great social scene too. There are plenty of courts, expert instruction, and a welcoming atmosphere that will put you at your ease and bring out the best in your game. 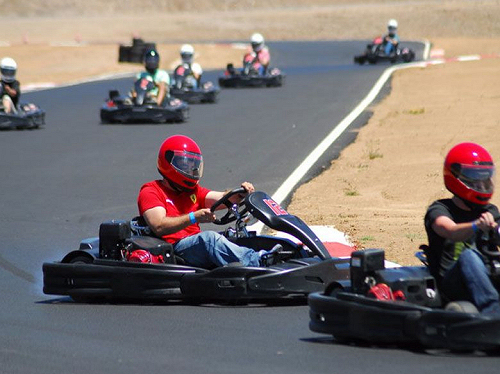 First opened in 1992, Almancil Karting is a total leisure and competition complex available to all lovers of karting! The main track is a 760m length replica of a former Formula One Brazilian race track - and the course is open to kart drivers of all levels of skill and experience. 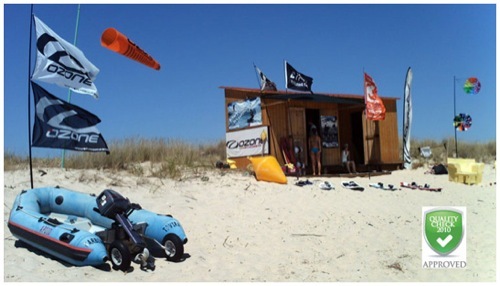 Try the sport of kitesurfing on the beautiful beach at Cabanas de Tavira island. Classes are taught in several different languages. with a teaching ratio of 1 teacher to 2 pupils. All standards are catered for, from absolute beginners to experienced kitesurfers who want to improve their skills. The Algarve has a wonderful variety of birds, with a wealth of breeding habitats - and the area is a perfect stopover for migrating birds. 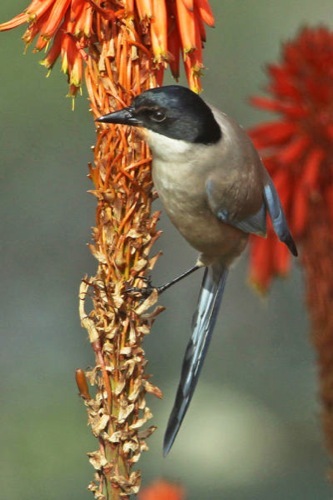 Group and individual birdwatching tours are available with friendly, experienced guides, and you're assured of seeing a fascinating range of birds in different habitats. 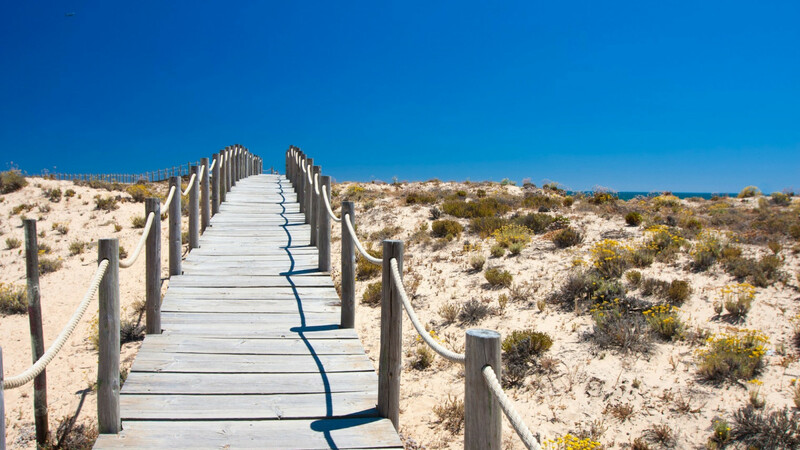 Departing from the historic town of Tavira, you'll head out to a lovely deserted beach where you can enjoy lunch, followed by kayaking lessons and snorkelling. 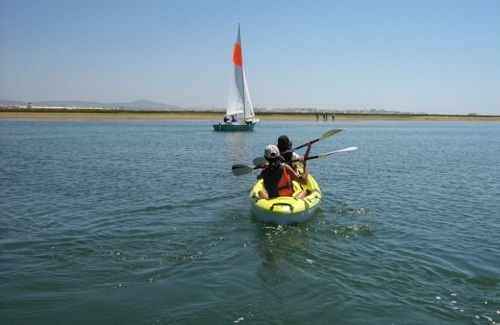 See an abundance of wildlife in the air and on the water - plus you can enjoy a good physical kayak workout in the process! Enjoy a peaceful walking tour through the saltpans of Tavira, and learn about the history salt extraction. 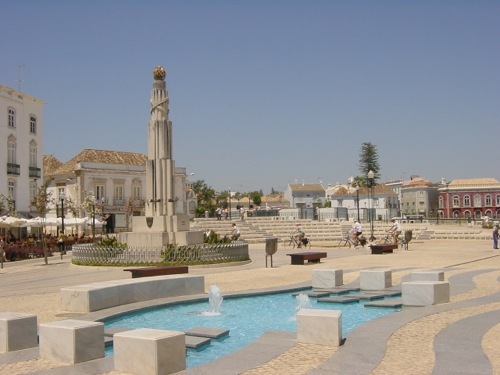 There's plenty of wildlife to be seen - and take time to discover the lovely town of Tavira as well. 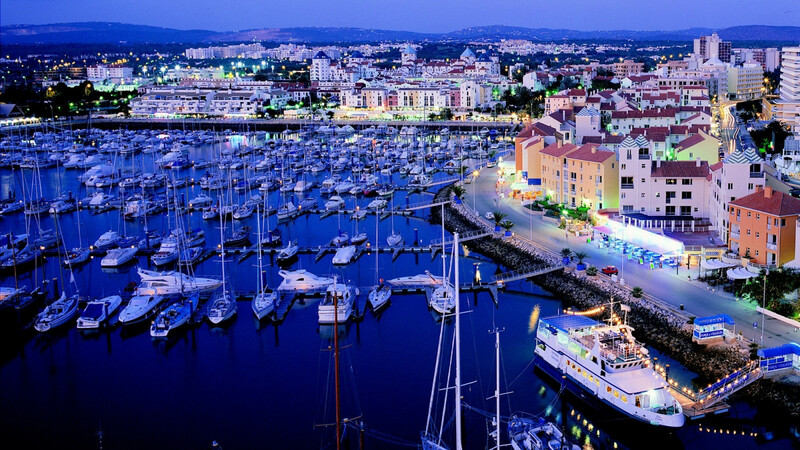 There's plenty to see, and the town boasts some superb restaurants. 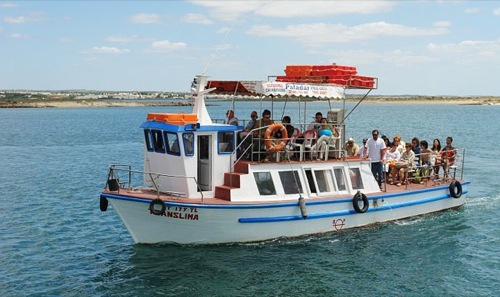 Tavira Island is south of Tavira and can only be reached by boat, which departs regularly from the town itself, and from Quatro-Aguas, and takes about 5 minutes. The island is 11km long and is considered to have one of the best beaches in the Algarve; it includes some naturist areas.